If you want to use Airtel GPRS on your mobile or data card, then you can use below Airtel GPRS settings or Airtel APN Settings for data card and mobile. Below is the APN settings for Airtel, use it to run Internet. If you need to connect Airtel to internet then use this Airtel Mobile Office settings, it will work with your GPRS data plan. If you want you can get Aircel APN Settings by sending an SMS <PI> without brackets to 121. 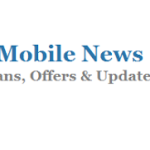 You will recieve Aircel APN in a message alert that can be save automatically as your APN. Aircel GPRS settings is simillar to APN Settings. To run internet on your phone you need to have correct Aircel internet settings in your phone. Without this Aircel GPRS settings you can not run internet in your phone. Aircel 3g APN and Aircel 2g APN is given below. You can use it and set your APN settings for Aircel manually. This Aircel APN work for all states of India including Rajasthan, UP East, UP West, West Bengal, Mumbai, North East, Orissa, Punjab, Chennai, Gujarat, Haryana, Himachal Pradesh, Jammu Kashmir, Kerala, TamilNadu, Karnataka, New Delhi, NCR, Andhara Pradesh, Assam, Bihar and Jharkand, Kolkatta, Madhya Pradesh, Maharashtra. If you want to run Internet on Your Idea mobile or Data card then you need these internet settings for idea. You can get APN settings for IDEA by sending SMS <SET> without bracket to 54671. Here is the list of Idea USSD Codes. Or if you want to set APN settings for idea manuall then you can use below settings for Idea internet. This will also work as a idea 3g apn settings or IDEA GPRS settings. 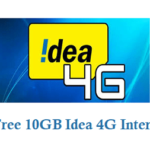 Also check Idea Free recharge trick. And Idea free Unlimited trick. This idea APN settings will work for all Idea cities in India including Rajasthan, UP East, UP West, West Bengal, Mumbai, North East, Orissa, Punjab, Chennai, Gujarat, Haryana, Himachal Pradesh, Jammu Kashmir, Kerala, TamilNadu, Karnataka, New Delhi, NCR, Andhara Pradesh, Assam, Bihar and Jharkand, Kolkatta, Madhya Pradesh, Maharashtra. Or if you want to set APN settings for Reliance manualy then you can use below settings for Reliance internet. This will also work as a Reliance 3g apn settings or Reliance GPRS settings. Or if you want to set APN settings for Reliance manually then you can use below settings for Reliance internet. If you want to run Internet on Your Docomo mobile or Data card then you need these internet settings for Docomo. You can get APN settings for Docomo by sending SMS <INTERNET> without bracket to 52270. Or if you want to set APN settings for Docomo manually then you can use below settings for Docomo internet. This will also work as a apn settings for docomo 3g or Docomo GPRS settings. If you want to run Internet on Your Vodafone mobile or Data card then you need these internet settings for Vodafone. You can get APN settings for Vodafone by sending SMS <VMC> without bracket to 52586. Or if you want to set APN settings for Vodafone manually then you can use below settings for Vodafone internet. This will also work as a apn settings for Vodafone 3g or Vodafone GPRS settings. Also Check : USSD codes to activate 3G on Vodafone and Ussd code for Vodafone Balance transfer and Vodafone free recharge.  Increase Vodafone Internet pack validity. And also check codes to take internet loan in Vodafone. You can also check my post on Vodafone free 3G Internet trick. If you want to run Internet on Your BSNL mobile or Data card then you need these internet settings for BSNL. 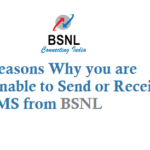 You can get APN settings for BSNL by sending SMS <INTERNET> without bracket to 52270. Or if you want to set APN settings for BSNL manually then you can use below settings for BSNL internet. This will also work as a apn settings for BSNL 3g or BSNL GPRS settings.